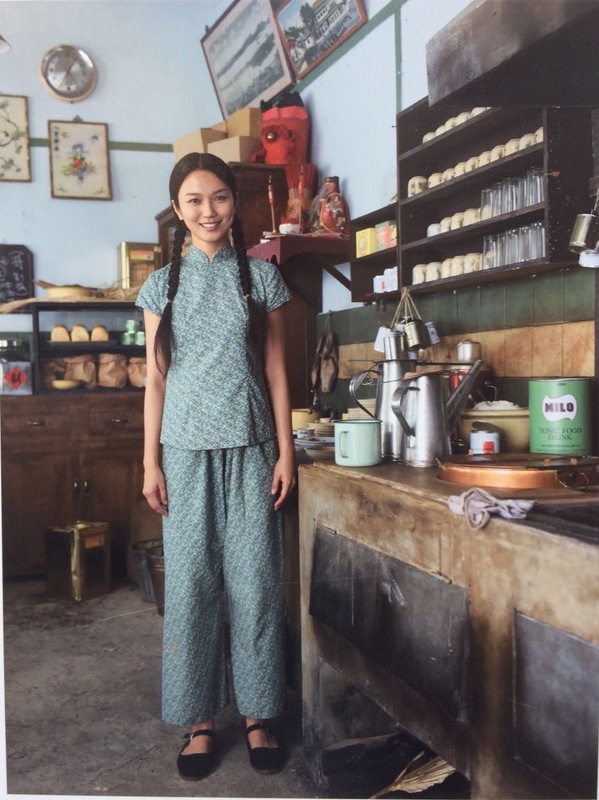 The movie 1965 finally opens this weekend and as a fellow cast member, I am not going to shy away from the fact that people are probably more keen to watch Tom Cruise in his action-packed Mission Impossible franchise than me with pigtails serving coffee in Chinatown. This is me during a rehearsal. Really, what are the odds of a local film beating a Hollywood blockbuster at the box-office? Movie 1965 up against Mission Impossible: Rouge Nation. Maybe I am stating the obvious but I am somewhat reminded of a line from our National Day song, “There was a time when people said that Singapore won’t make it, but we did.” What had been the odds of a small fishing village, with zero natural resources, and during a time where no other similar country has set a precedent, making it? In a strange way, the movie 1965 is facing a similar predicament as Singapore in 1965, albeit on a completely different scale. Tom Cruise in a scene from MI: Rouge Nation. Mission Impossible: Rouge Nation is the 5th installment in the Mission Impossible series. They’ve been there and done that. 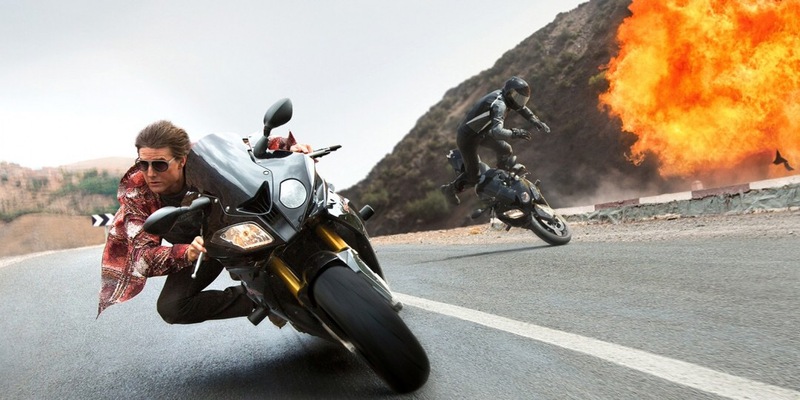 This time perhaps with more stunts and action, wilder car/bike chases, crazier building jumps. But what about the movie 1965? No one has made a movie like that before until now. And like Singapore in 1965, no one knows for sure how it will turn out. Some of you might have heard of this film many years ago and may also be aware of the time, effort and money spent to make it happen. But I know that probably isn’t the point. After all, if I lived in 1965, I wouldn’t have concerned myself with the difficulties our prime minister had to face in building a nation from scratch. I would have cared more about making a decent living so I can fend for myself and my family back in China. 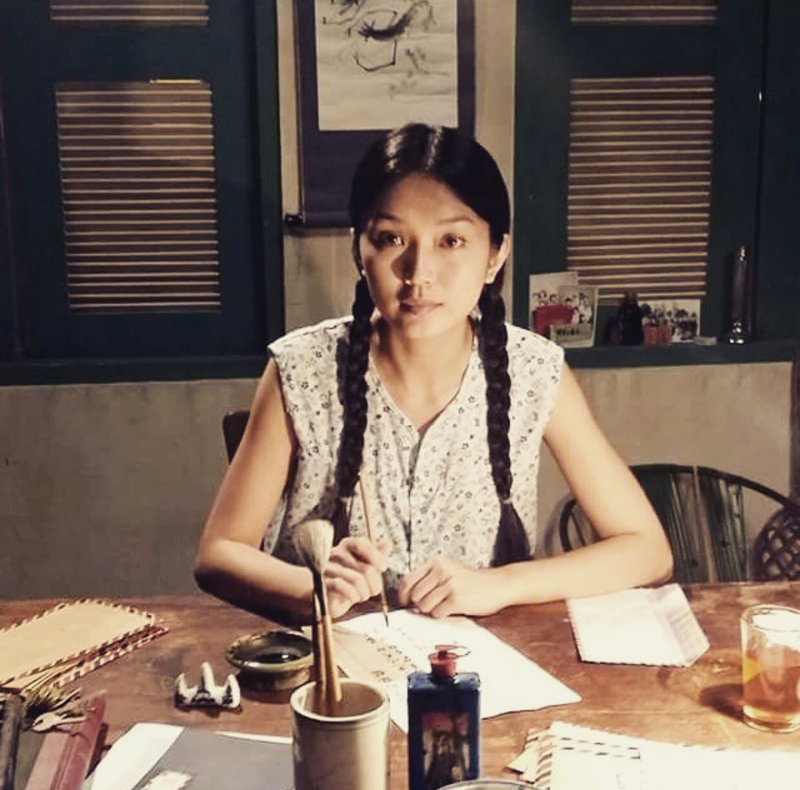 Me as Zhou Jun, writing to my family in China. But for all our forefathers who have done so, they probably didn’t realize that, knowingly or unknowingly, they have made a choice to give Singapore a chance to be their home. Which is really what I urge Singaporeans to do. Give yourself a chance to experience the movie 1965 and share how you feel about it. James Seah as Seng. This is us in a Chinese New Year scene. I watched the movie for the first time at the gala premiere on 28 July. To me, this is a movie with so many points of discussion that it makes for great conversations. The people whom I spoke to after the screening had different things to say and it made me realise that this movie has brought out what truly marks Singapore — a country where people with diverse backgrounds have different views and thoughts on the same thing. It couldn’t have shown up more clearly than after a shared experience of watching 1965. 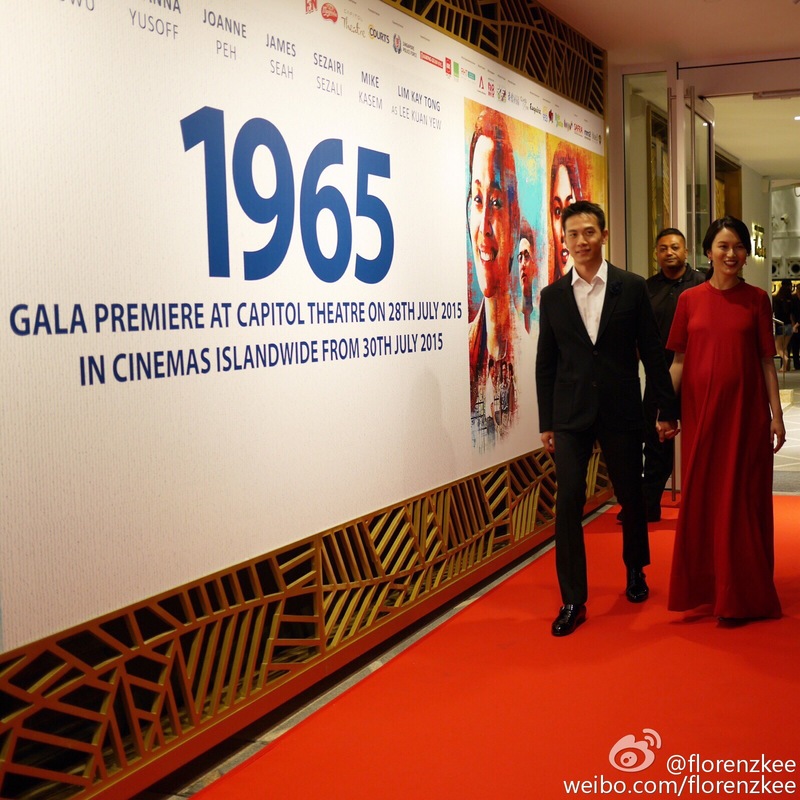 My husband Qi Yuwu and I at the gala premiere screening of 1965 at Capitol Theatre. There will be expectations but whatever they may be, this is a movie that will definitely make you ponder — not just about history and politics, or nation-building and national day, but interestingly about art, love, kinship, story-telling and possibly even other subjects that hadn’t occurred to me. To me, watching a movie isn’t just about being entertained. It is being able to share and discuss how you feel about it with people who have had the same experience. Because sometimes, it’s what’s in your heart that matters. Here I am, first day in my coffee-shop. 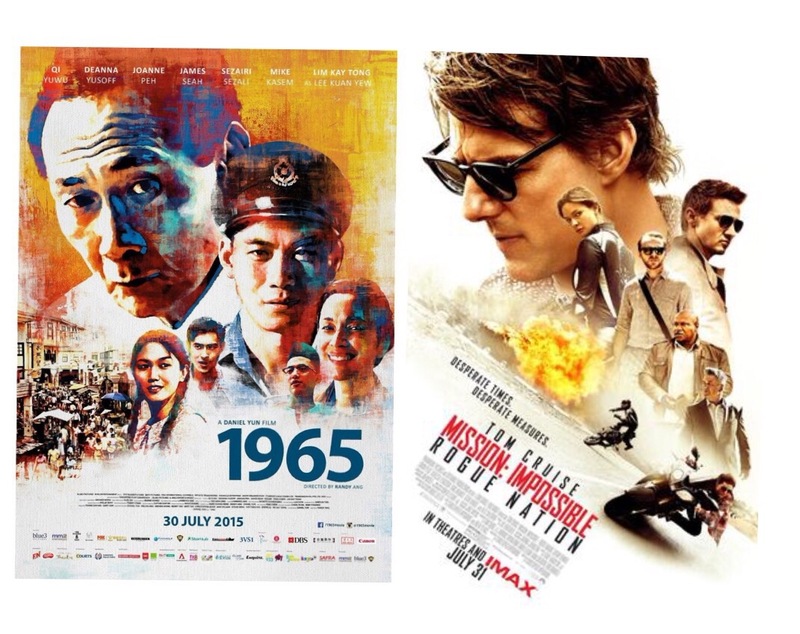 Movie 1965 opens in theatres islandwide.